The Kemeri National Park competition called for the design of a new observation tower that would provide disabled and wheelchair access in addition to the existing observation tower which is located at the far end of the park. 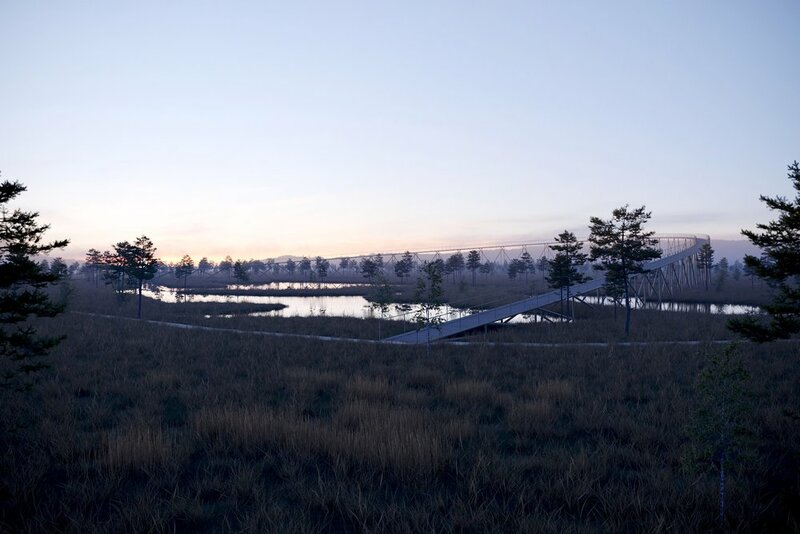 My proposal for the competition was to introduce a new path through the park that would gently rise through the trees and lakes and provide an ever changing view as visitors slowly ascend and then descend along the path. 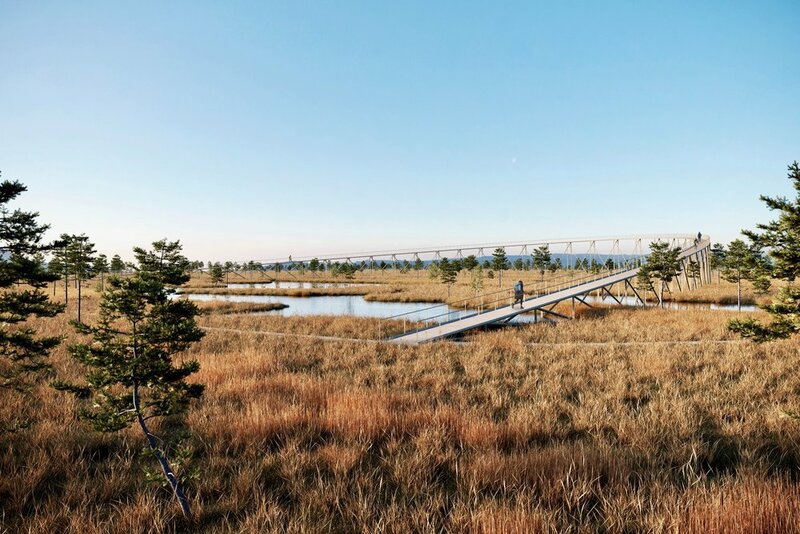 The proposal would involve a simple cross braced timber structure that would be constructed from local timber in keeping with the existing observation tower.